Idyllic position, hearty South Tyrolean hospitality, newly furnished rooms and excellent cuisine. 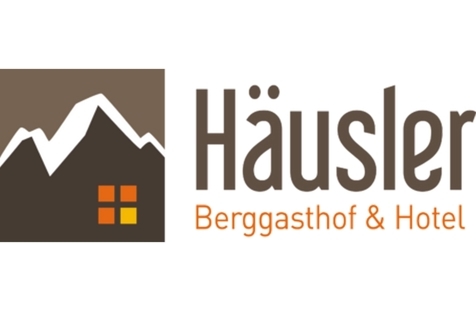 Welcome to Berggasthof Häusler** in Ellen near St. Lorenzen and Bruneck! At Guesthouse Häusler** in Ellen nearby St. Lorenzen you will be greeted by warm hospitality. In the simple but cosy ambience you will feel immediately like home. Here you can spend holidays full of peace and relaxation, embedded in the impressive mountain landscape. 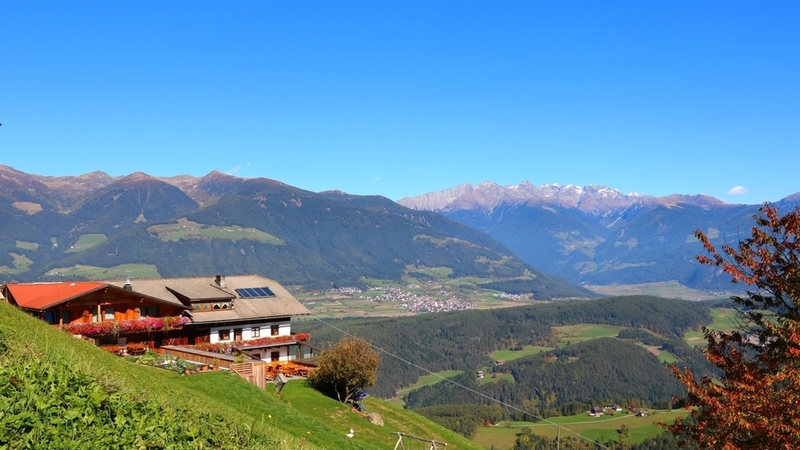 The house offers new and spacious rooms with balcony and a dreamlike panoramic view of the valley Pustertal and Mt. Kronplatz. The rooms with wooden furniture are equipped with shower, toilet and satellite TV. Lovers of active life will be spoilt for choice in summer and winter! They can hike, cycle and climb in summer or ski, sledge, snowshoe hike and much more in winter. After an exciting day outdoors, you can relax on our terrace or in our traditional stube (snuggery) and enjoy great homemade specialities. Room for 2-3 / 2-5 persons (29-40 m²) Alpine lifestyle in our new wellness rooms with solid wood furniture made of homegrown larch. Earthy colours and a bright, friendly atmosphere ensure true holiday enjoyment. Comfortable amenities, including a 43” satellite TV, safe, bathroom with large shower, bidet, toilet, hairdryer, and hand and bath towels. The large balcony with seating area offers a wonderful view of the lovely town of Bruneck along with the valley basin and the Rieserferner Group, or of Kreuzkofel (2420 m) and Kronplatz (2275 m). Room for 2-3 persons (23 m²) Light-flooded rooms with a panoramic view of the lovely town of Bruneck along with the valley basin and the Rieserferner Group, or of Kreuzkofel (2420 m) and Kronplatz (2275 m). Your home away from home is outfitted with a 43” satellite TV, safe, bathroom with large shower, toilet, hairdryer, and hand and bath towels. Room (without balcony) for 2-3 persons (19 m²) Beautiful, comfortable room without a balcony, outfitted with a 32” satellite TV, safe, bathroom with shower, toilet, hairdryer, and hand and bath towels. Room for 2-3 persons (14-22 m²) Cozy room in the old building with rustic solid wood furniture, comfortably outfitted with a 32” satellite TV, bathroom with shower, toilet, hairdryer, and hand and bath towels. Balcony with seating area and a partial view of the valley towards Bruneck and the Rieserferner Group, or with a view of Kreuzkofel (2420 m) and Kronplatz (2275 m). Vegetarian food , Home made products, Sunshade, Deckchair, Ski depot in the house, Journals at disposal, Multilingual receptionists by day, Pets allowed, Snow boot dryer, Quiet position, above 1000 m a.s.l.